Real estate developer Cayan Group on Sunday announced that it is developing projects worth AED1.2 billion ($326 million) in Dubai and Riyadh this year. The company said in a statement the projects will be built on recently purchased prime plots in the two cities. In Riyadh, Cayan Group said it has acquired a prime commercial plot along King Fahed Road in Riyadh where work on a state-of-the-art office building will soon begin. The company also said it has acquired two plots on Umm Suqeim Road in Dubai for planned upscale residential and hotel apartment towers. Ahmed Alhatti, president and chairman of Cayan Group, said: “The strategic land purchases as well as our upcoming landmark projects in Dubai and Riyadh form part of our comprehensive plans for 2015. “Our new undertakings at the start of the year are fully aligned with the booming hospitality, residential and office sectors in both cities. 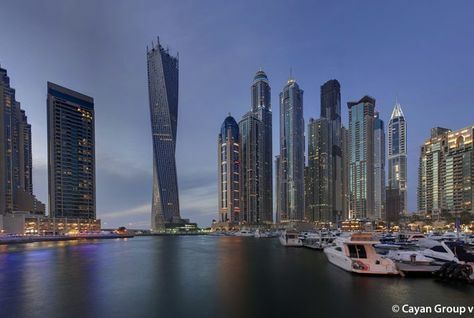 Founded in 2004, Cayan Group’s Cayan Tower was officially declared by the Guinness World Records as the globe’s tallest twisted tower in 2013 standing at 307 metres high.